Environmental issues continue to make news as concerns about the health of the planet grow. We are all familiar with efforts to be more environmentally friendly through activities like recycling, composting, using cloth bags at grocery stores, leaving the car at home and installing compact fluorescent light bulbs. Yet another way you can help the environment could be in your wallet — a credit card. If you want to take a firmer hands-on approach with your support of the environment, there are banks and companies that offer affinity credit cards designed to donate a set amount to environmentally focused charities or nonprofit organizations every time you use it. Below, we’ll review five of them, along with a more mainstream alternative. Amazon Watch is a nonprofit organization founded in 1996 to protect the rainforest and advance the rights of indigenous peoples in the Amazon Basin. Spending on this card helps further the organization’s ongoing mission. The card has a $0 annual fee. Earn one point per dollar on net purchase. This card supports the efforts of Green America, which focuses on using economic power to create a socially just and environmentally sustainable society, and this card helps support this organization’s efforts. The card has a $0 annual fee. Cardmembers earn one point per dollar on net purchase. Seattle-based International Living Future Institute partners with local communities on programs including green building and infrastructure solutions that are partially funded by spending on this credit card. The card has a $0 annual fee. Earn one point per dollar on net purchase. Portland, Ore.-based nonprofit Ecotrust works to create social, economic and environmental benefits to Salmon Nation. Salmon Nation is a region that runs between California and Alaska, and the organiation works with communities to restore and sustain economic activity helped by cardmember spending. The card’s annual fee is $0. Earn one point per dollar on net purchase. Founded in 1972 during the Clean Water Act campaign, this Washington, D.C.-based nonprofit works on building health and environmental protections that are partly funded by card spending. 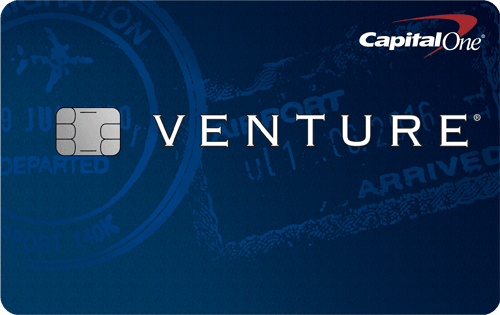 With its $0 annual fee, cardmembers earn one point per dollar on net purchase. Looking for an alternative card? There are cards out on the market that give you a sign-up bonus, more robust points per $1 spend and perks, but still allow you to help the environment. 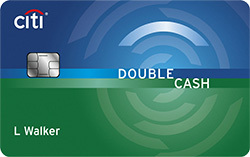 One of them is the U.S. Bank FlexPerks® Travel Rewards Visa Signature® card. The sign-up bonus lets new cardmembers Earn 25,000 bonus FlexPoints worth $375 on airfare, hotel stays, car rentals and more. Just spend $2,000 in eligible Net Purchases (purchases minus credits and returns) on your card within the first four months of account opening. That converts to $400 that can be spent on travel, like airfare, hotel stays and car rentals. Each billing cycle you earn 1 FlexPoint on all purchases and an additional 1 FlexPoint in one select category (airlines, gas stations, grocery stores, charitable and social service organizations, or cellular services provider merchant) for a total of 2 FlexPoints that you spend the most in. But what makes this credit card different is that you earn points whenever you use it to donate to the charitable organizations of your choice. You can redeem your FlexPoints for gift cards, merchandise, magazines, event tickets or as cash back. Other perks include a $25 airline allowance whenever you redeem FlexPoints to book travel covering baggage fees, in-flight food, drinks or a seat upgrade. You get 12 free Gogo® Inflight Wi-Fi passes a year, auto rental collision damage waiver, travel accident insurance, lost luggage reimbursement and roadside assistance. Sign-up bonus: Earn 25,000 bonus FlexPoints worth $375 on airfare, hotel stays, car rentals and more. Just spend $2,000 in eligible Net Purchases (purchases minus credits and returns) on your card within the first four months of account opening. The truth is that with their low points per $1 spent, no sign-up bonuses, foreign transaction fees and few real perks, these environmental affinity credit cards aren’t nearly as competitive as what’s out there on the market. So if you’re looking for higher points in categories like travel and dining, want more ways to redeem your points or want more travel and purchase perks while still supporting the environment, then consider the U.S. Bank FlexPerks® Travel Rewards Visa Signature® card. But if you’re dedicated to environmental issues, these cards not only make you feel good about that, but they also donate proceeds from your card spending to these worthy organizations dedicated to protecting and preserving the planet.